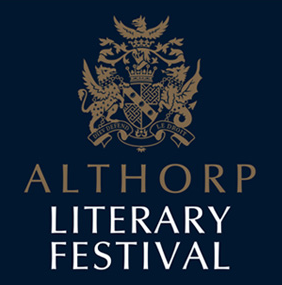 The 13th Althorp Literary Festival will take place on four days - from Thursday 30th June to Sunday 3rd July, inclusive. Building on the success of Festivals past, the 13th Althorp Literary Festival promises to once again be an impressive event, with sessions from renowned historians, novelists, comedians, politicians, sportsmen, screenwriters, biographers and broadcasters. It remains a unique and intimate celebration of the written word, taking place against the backdrop of one of England’s most beautiful, private, historic houses. This year’s line-up includes; Bill Bryson, Joan Bakewell, Loyd Grossman, Paula Byrne, Tom Bower, Hollie McNish, John Suchet, Sir Richard Eyre, Henrietta Knight, Paul Gambaccini, Suzannah Lipscomb, James Naughtie, Sara Pascoe, and Brian Blessed. We look forward to seeing you there. If you are a Waterstones Reward member you have the exclusive opportunity to purchase tickets before they go on general sale; many events sell out rather quickly, so if you can, do take advantage of this Reward member priority period. You can book from Monday 4th April from 10am - exclusively for 24 hours - on the official website or by calling the Ticket Box Office on 01604 770107 (weekdays 10am - 5pm). General tickets are released for sale on Tuesday 5th April. The House is a mere 10-minute drive from the M1, under an hour from major cities such as Birmingham, Coventry, Nottingham and Leicester, and less than an hour-and-a-half from London.